If you are looking for a free music player then I suggest you to take a look at musikCube. There are many innovative features for this application. The player is really fast. Dynamic playlists feature helps you in playing the songs randomly based on your Music habits. There are only some players that support this feature. So the more you listen to your songs with it, the more it can understand you. It also supports browsable and user recordable playlists. The player can automatically detect the portable devices. So you can easily transfer your audio tracks to your favorite music player. There are many plugins which will help you to play other formats like Ogg, AAC and FLAC. 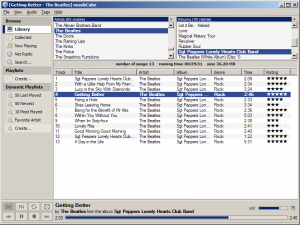 You can also RIP your audio CD’s to other formats with the help of musikCube. 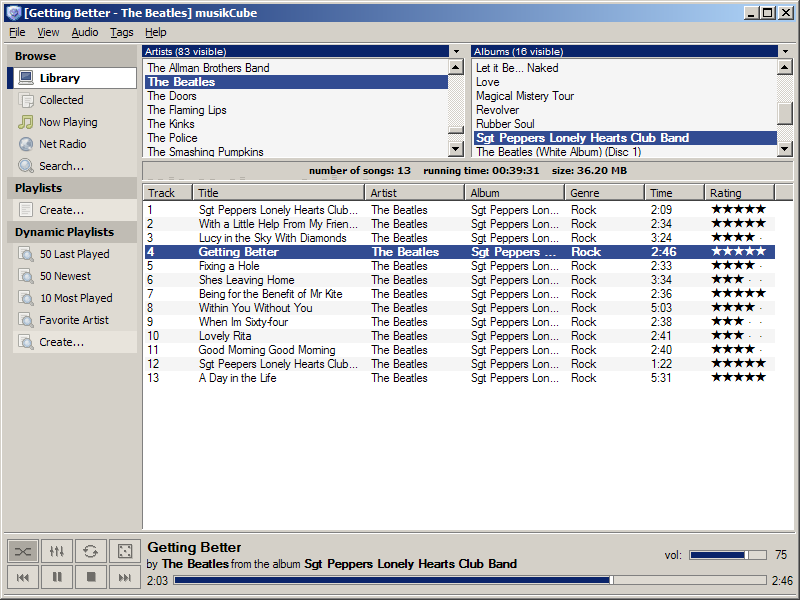 WMP2MC – VBScript that imports Star Ratings into musikCube from Windows Media Player. YahooCube – Control the status message in Yahoo! Messenger 8 with musikCube. musiKeys – Redefine musikCube’s global hotkeys. Shutdown Timer – Automatically shutdown your computer either at the end of a playlist or after a specified time.